Balkan Golds Piskanja project is a world class, high grade boron deposit with a NI 43-101 compliant mineral resource of 7.8 million indicated tonnes ( 31.0% B2O3), in addition to 3.4 million inferred tonnes (28.6% B2O3). The Piskanja deposit currently has a NI 43-101 compliant resource, which indicates that the deposit is a property of merit and worthy of further study. Erin management is actively engaged in the due diligence process with several potential strategic partners regarding the development and exploitation of its Piskanja boron project in Serbia. MRE cautionary statement: ... Mineral resources that are not mineral reserves do not have demonstrated economic viability. The quantity and grade of reported Indicated and Inferred Mineral Resources in this estimation are uncertain in nature. 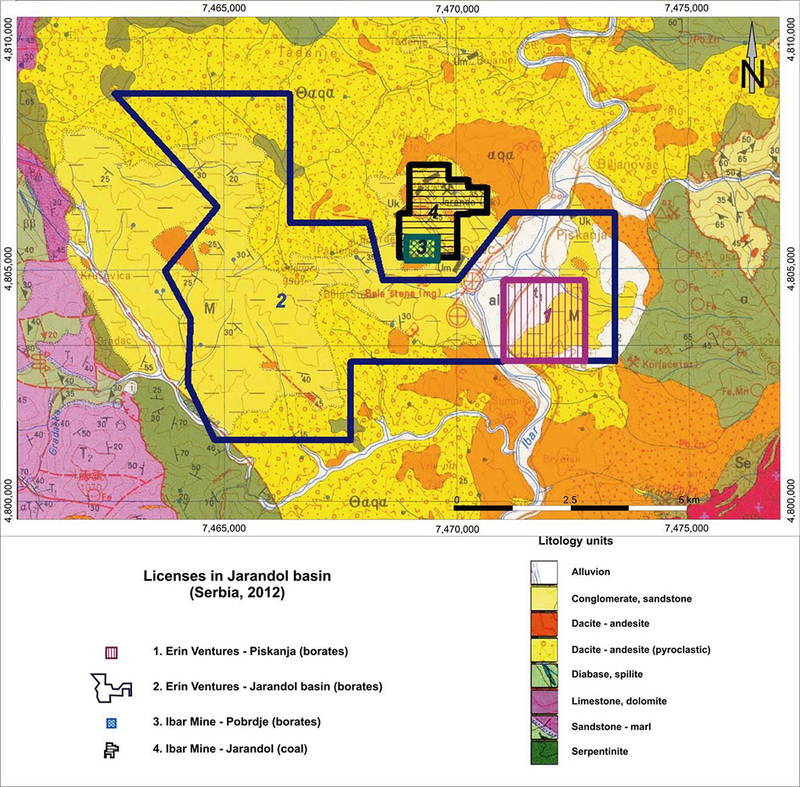 There has been insufficient exploration to report these Mineral Resources in the Measured category and it is uncertain if further exploration will result in upgrading a part of these to this category in due course or if further technical work will enable them to reported as Mineral Reserves. The technical information contained herein was approved by James E Wallis, M.Sc. (Eng), P. Eng., a director of the company, who is a Qualified Person under National Instrument 43-101.